Useful facts and information about the town of Swanage. A small village at the northern end of the Isle of Purbeck. Visit the RSPB nature reserve to see many rare birds and animals. Swanage and the Isle of Purbeck have a lot to offer visitors. From beaches and gardens to festivals and castles, you will find lots to see and do during your stay. Locations of the car parks in Swanage, you can also park in many of the roads in town but make sure that you look out for the parking restrictions around the town centre. West of the famous Corfe Castle, Church Knowle is a village that dates back over 700 years. The Purbeck coastline has some of the best climbing routes in northern Europe. Built by the Normans, destroyed during the civil war, Corfe Castle stands as the gateway between the Purbeck Hills. A small village to the west of the Isle of Purbeck. The Isle of Purbeck has many bridleways and quiet country lanes which are ideal for cycling. Swanage and the Isle of Purbeck is the ideal place for a long or short walk with your dogs. Pages aimed at both teachers and pupils to assist them in their work on Swanage and the surrounding area. Contact Information for local emergency services. Useful facts and figures about Swanage and the Isle of Purbeck. Swanage and the Isle of Purbeck is a very good area for fishing with beach and pier fishing to boat trips and mackerel trips, there is something to suit everyone. Swanage and the surrounding area has a lot to offer for the serious and amateur golfer. 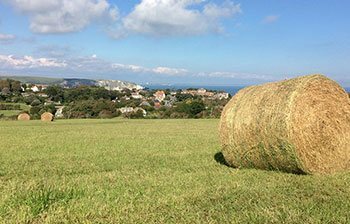 Swanage and the surrounding area have many bridleways which are suitable for Horse riding. A small village on the southern coast of the Isle of Purbeck. A large village west of Swanage. Find out more about Swanage, from where to park to emergency information and recycling facilities. The naturist beach at the northern end of Studland beach is very popular in the summer season. Kiting is one of the fastest growing sports in the world. You can use your kite for thrilling activities like getting air, scudding, and body surfing. Contact information for buses, taxis and trains. Keep the area clean and tidy by using the recycling facilities. Locations and contact information for schools in Swanage and the surrounding area. Studland Village is approximately 5 miles from Swanage. Studland beach and the surrounding heathland is an area of outstanding natural beauty. Swanage Sea Rowing Club, formed in 2001 now boasts over 150 members. Contact information for local tourist information centres. Information about the association who's aim is to promote friendship and understanding between the inhabitants of Swanage and those of our Twin Town of Rudesheim am Rhein. The Isle of Purbeck contains many small villages each with their own unique character. Travel directions for Swanage and route planning information. Tyneham is a small abandoned village around 5 miles west of Corfe Castle. There are many footpaths around Swanage and the Purbecks. The South Coast walk route passes through the area. Wareham, a Saxon walled town is on the north edge of the Isle of Purbeck, between the rivers Frome and Piddle. Swanage and Studland bay are very popular for all water sports. Swanage bay is very busy with boats ranging from jet-skis to Sun seekers using the water. Worth Matravers lies appropriately 4 miles west of Swanage and 3 miles south of Corfe Castle.